Product code: 1610 Categories: Sold Items, Sold Omega Watches. 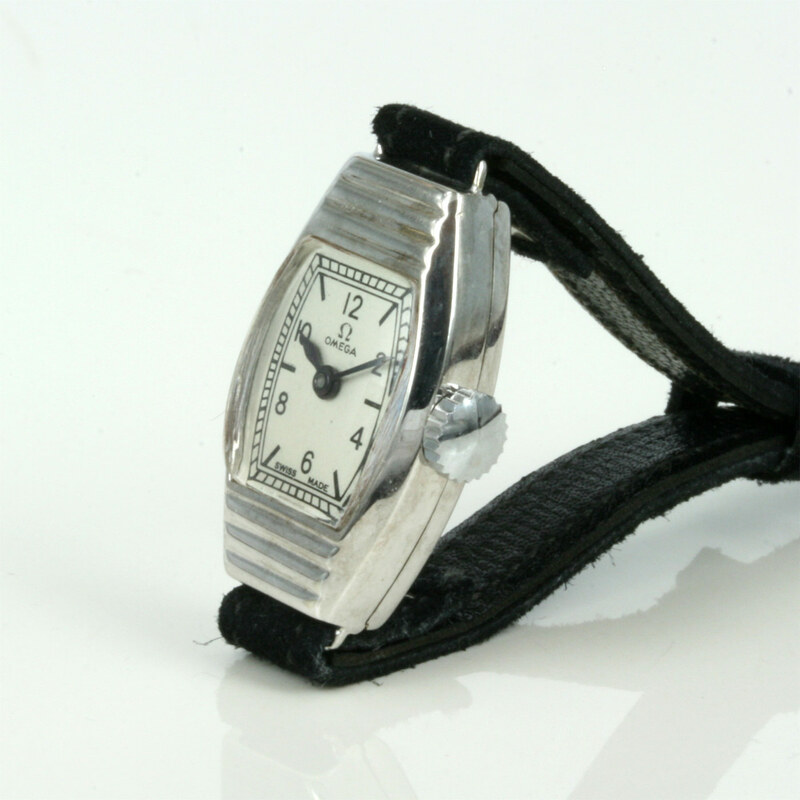 This is such a wonderful Omega watch that is still reminiscent of the Art Deco period. Made in 1935, this wonderful ladies Omega is made in a 9ct white gold tonneau shaped case that has a very elegant “stepped” design. The case measures 15mm across plus the crown by 25mm in length plus the lugs, this is a very elegant ladies watch that looks perfect. The white dial has been repainted to such a high standard, and is so easy to read day or night. Inside is a 15 jewelled manual wind Omega calibre T12.6TI which has been fully serviced and runs perfect. Vintage Omega watches such as this in this condition in gold cases are becoming very popular, and when this is on the wrist, it is very easy to see why.